We like our patients to attend routine examinations so we can find small problems before they become much larger, painful and more expensive problems. 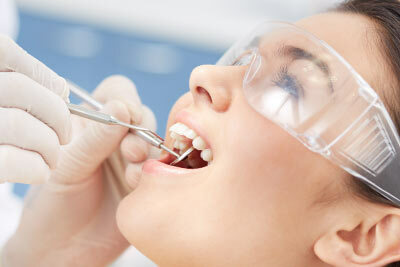 We adopt a preventive and holistic approach to dental care. We therefore encourage our patients to attend twice a year for their dental reviews. Examination of the head and neck for any swelling and tenderness. We also check the jaw joints to see that they are working properly. We check the soft tissues of your mouth, the lips, tongue, roof of the mouth, and cheeks for any spots, ulcers, swellings or any other problems. We check the gums for signs of periodontal (gum) disease and continue to monitor this as part of our continual care service. We check your teeth for any decay and your existing dental work for any defects. We may need to take digital x-rays and photographs to help us. Digital x-rays enable us to see immediate results with the benefit of a lower radiation dose. We discuss any concerns you may have with the appearance of your mouth. We are happy to explain any treatment options and costs with you. We provide a written estimate of all your dental fees and notify you as soon as possible if this is likely to change during the course of your treatment. A treatment timeline will be provided.